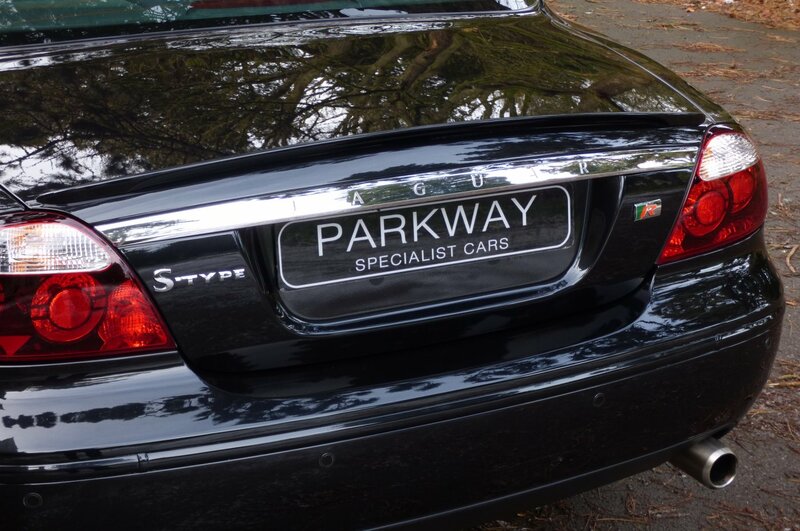 The S-Type was Produced At Jaguar's Castle Bromwich Facility In Birmingham And Made Its World Debut In The March Of 1999. 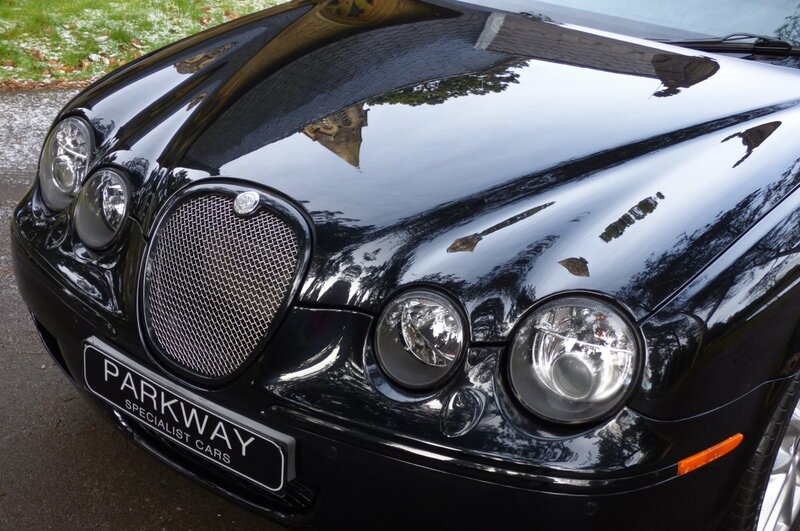 This New Breed Of Jaguar Was Designed By Geoff Lawson And At The Time He Wanted To Offer A Body Similar To The Heritage Jaguar Mark II, With Signature Body Lines And Elegant Curves. 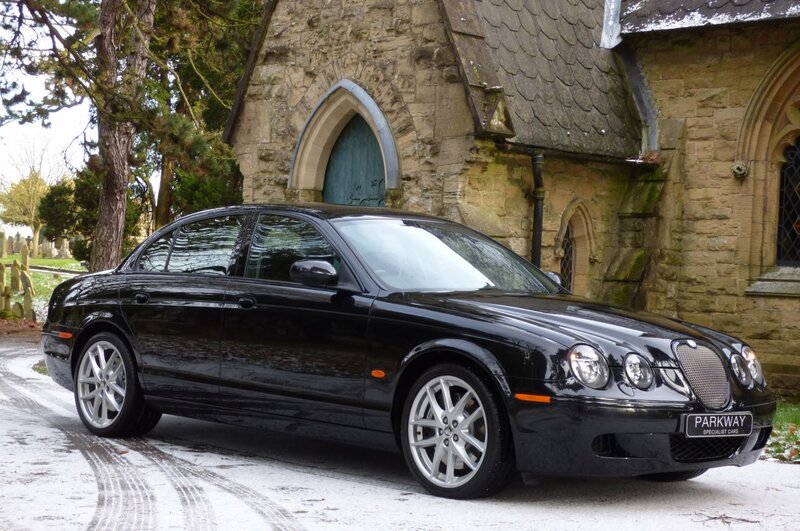 The Initial Offering From The Factory Was To Compete With The BMW 5 Series And Yes The German Car May Have Offered Slightly Better Specification, However The Jaguar S Type Was More Suited To Those Stereo Typical Oxford Villages, That Offered Clients A Luxurious Motoring Experience And A Far More Special Environment For Driver And Passengers To Enjoy. 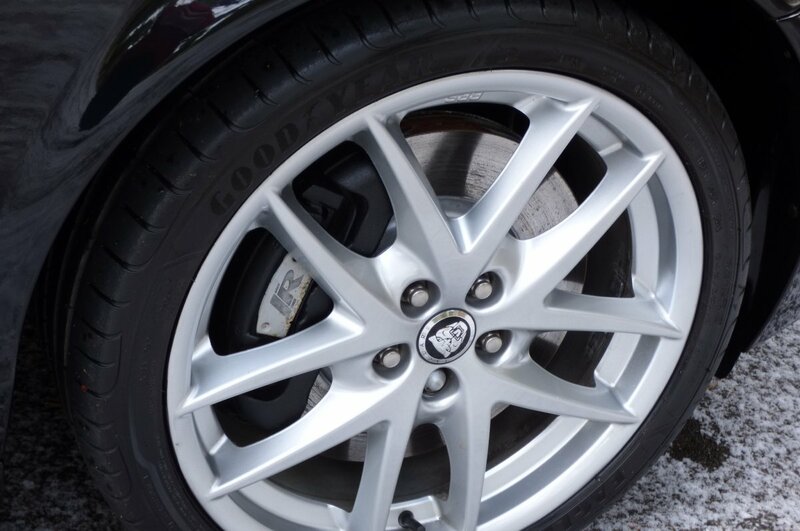 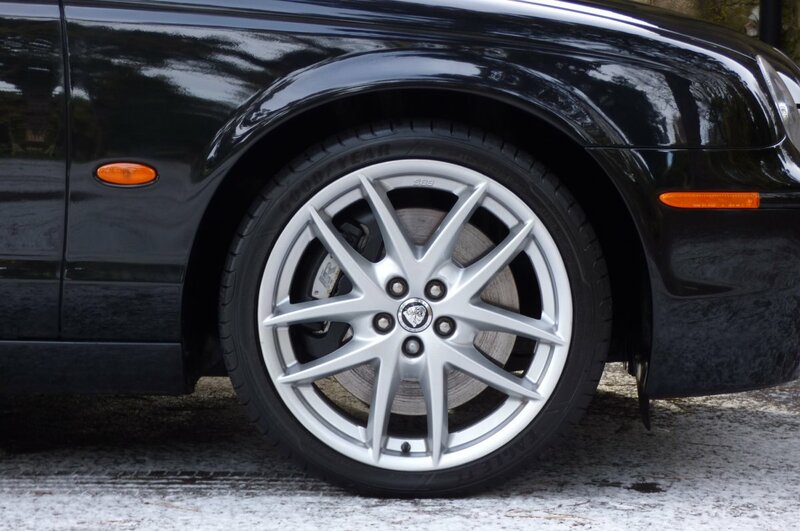 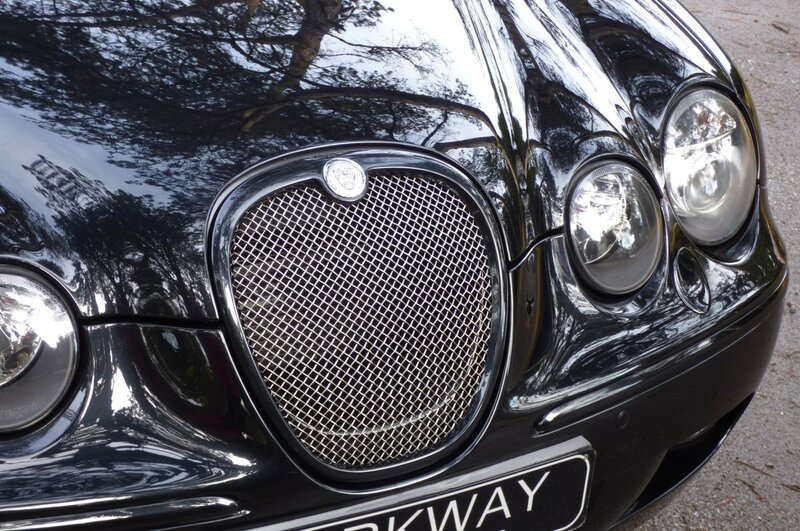 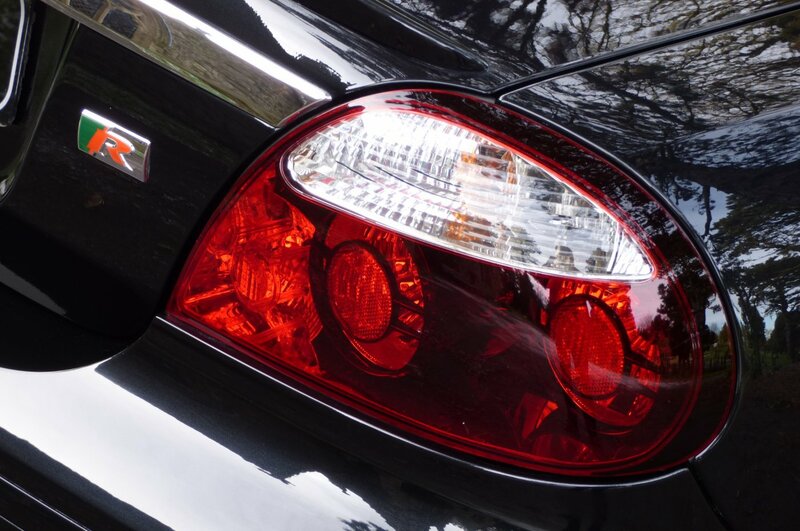 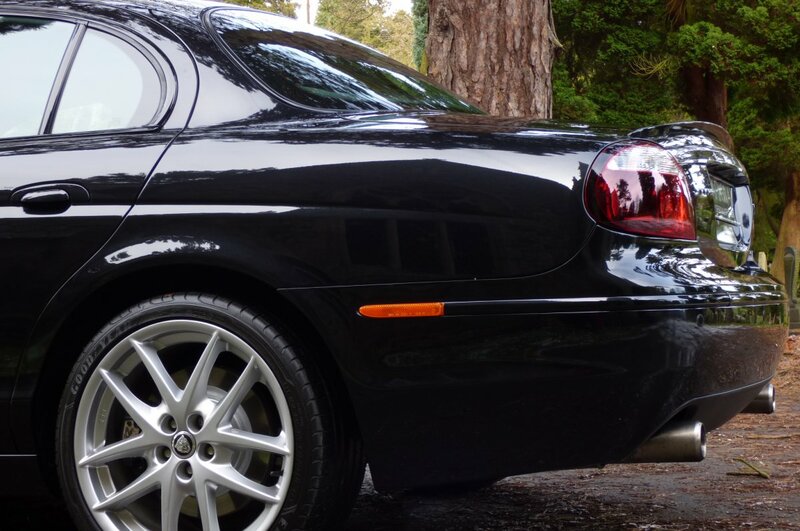 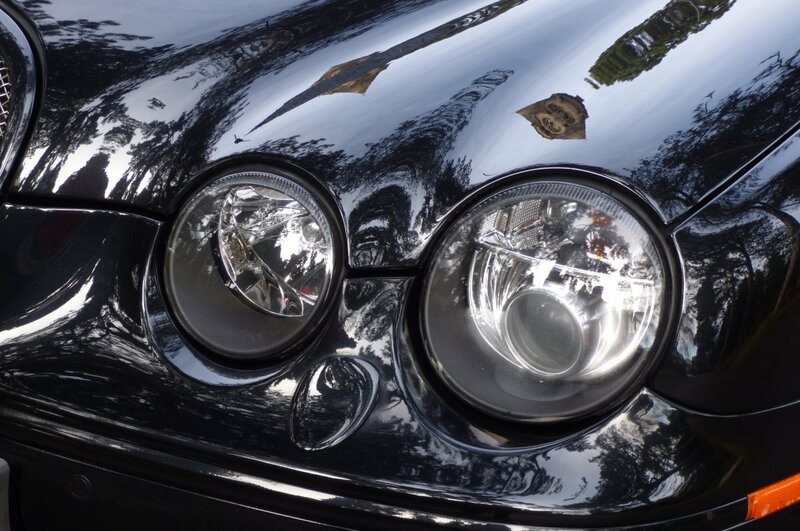 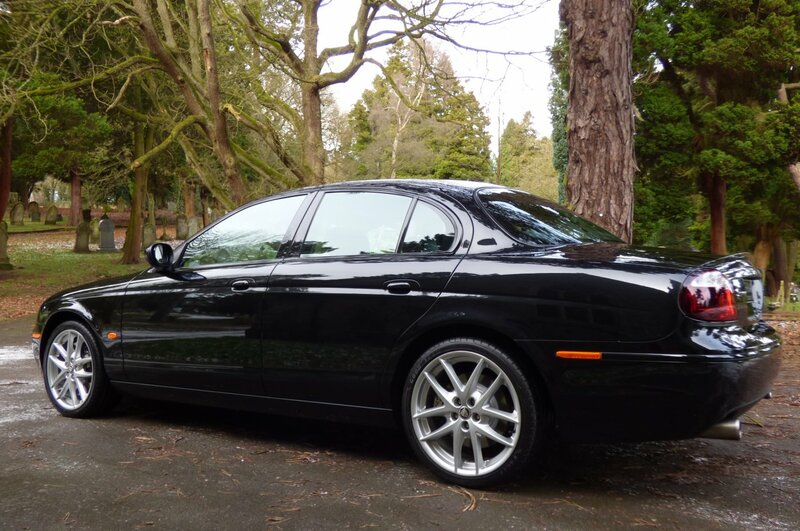 Today This Distinctive Shape Is Viewed As An Important Part Of Jaguar`s Glorious Past Endeavours And For Excellent Examples, Can Be An Excellent Avenue To Start Your New Motoring Collection? 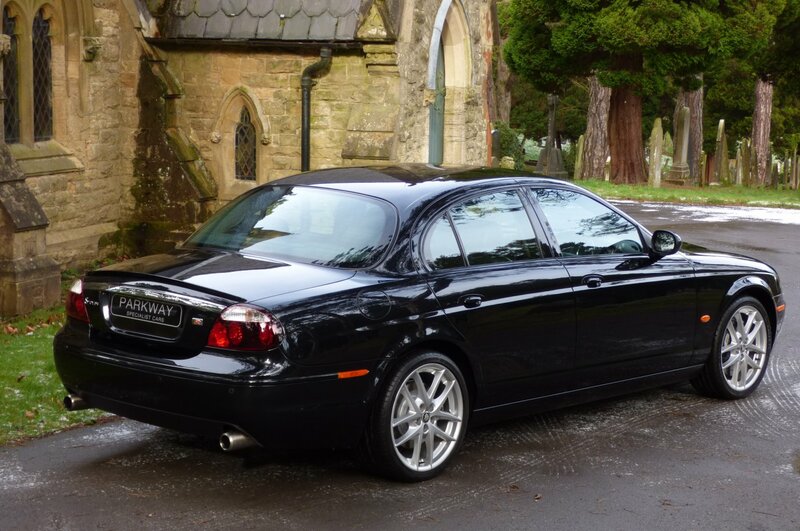 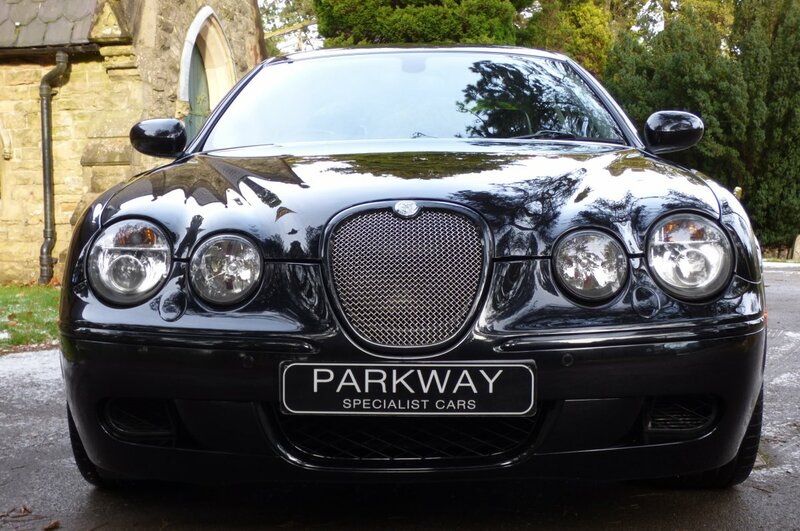 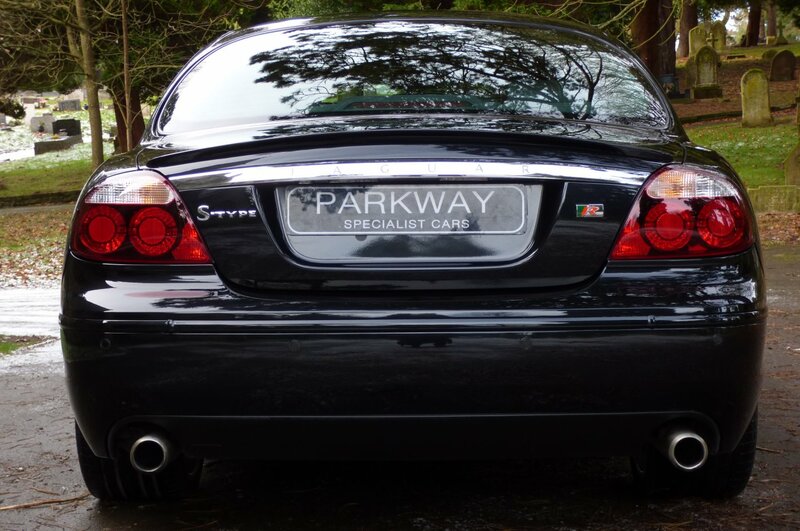 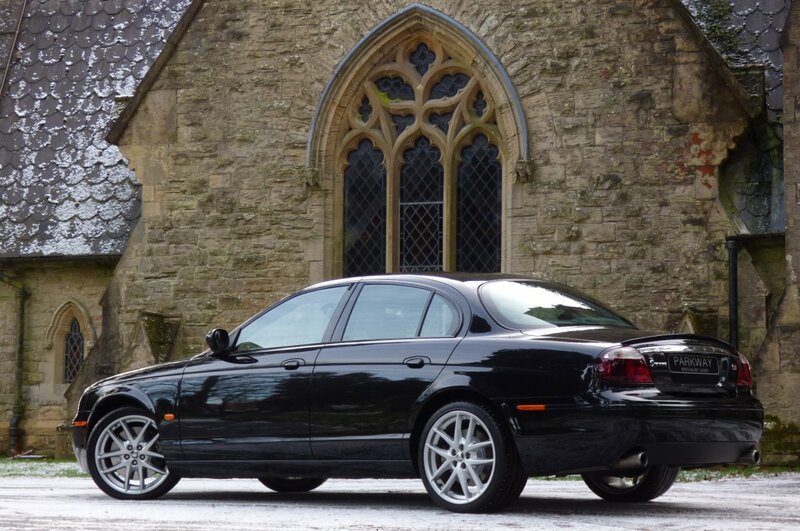 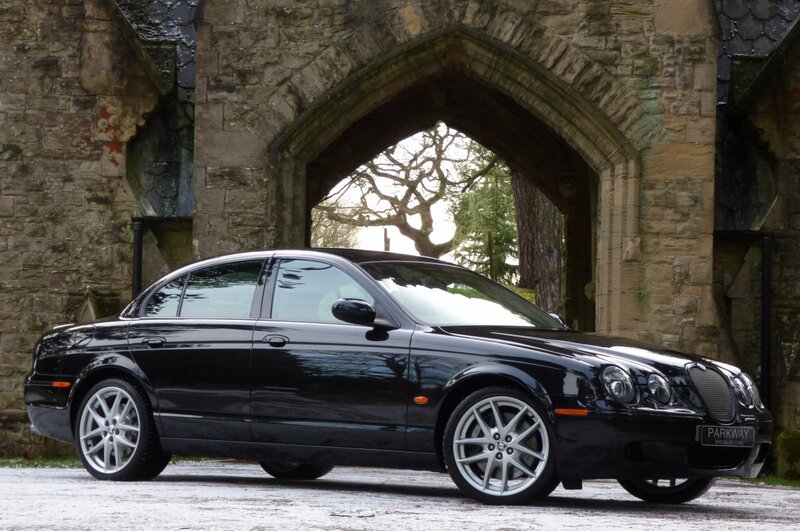 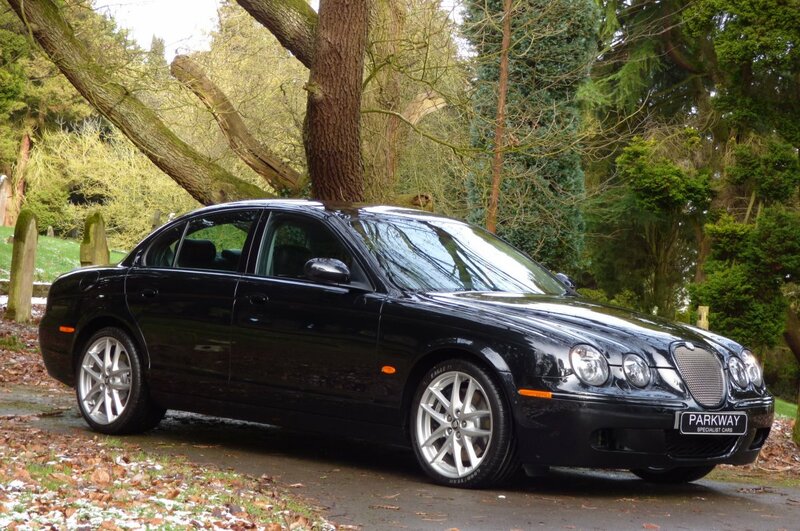 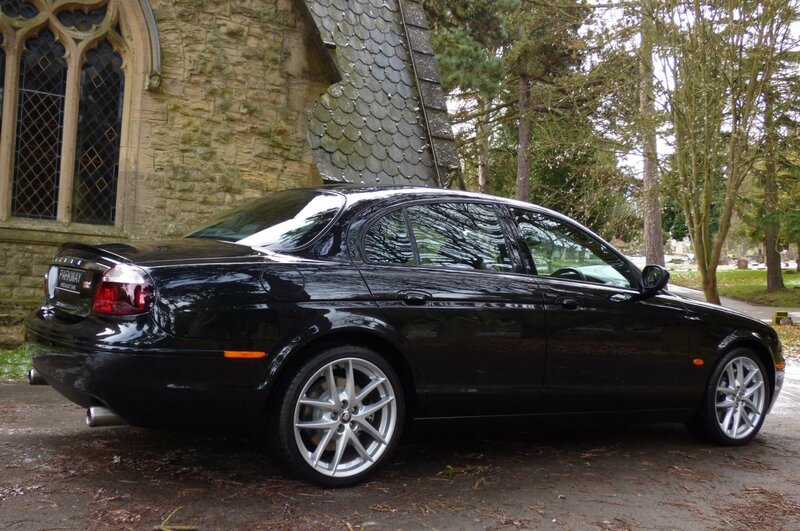 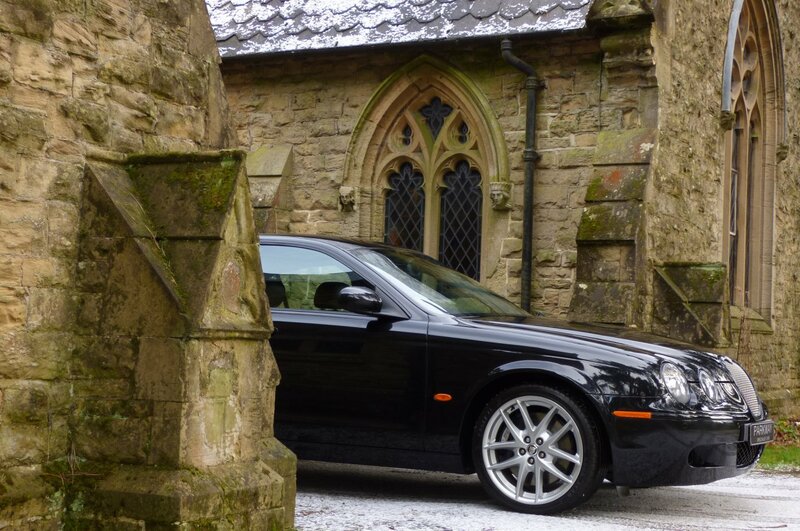 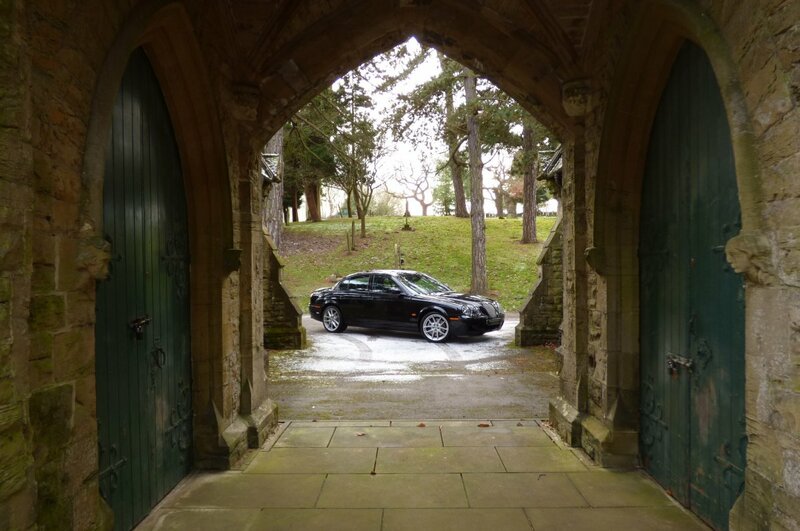 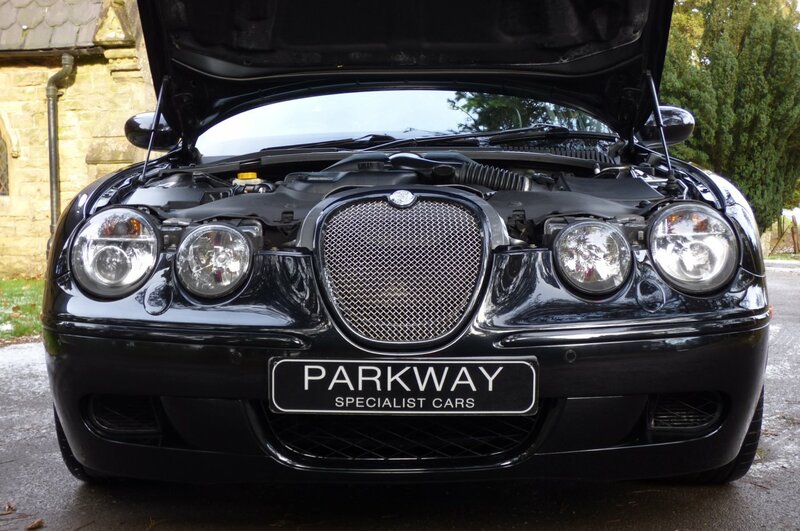 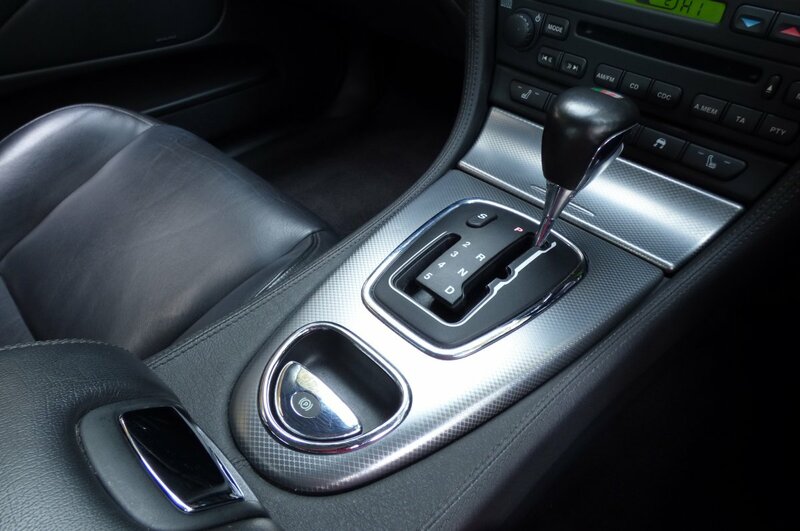 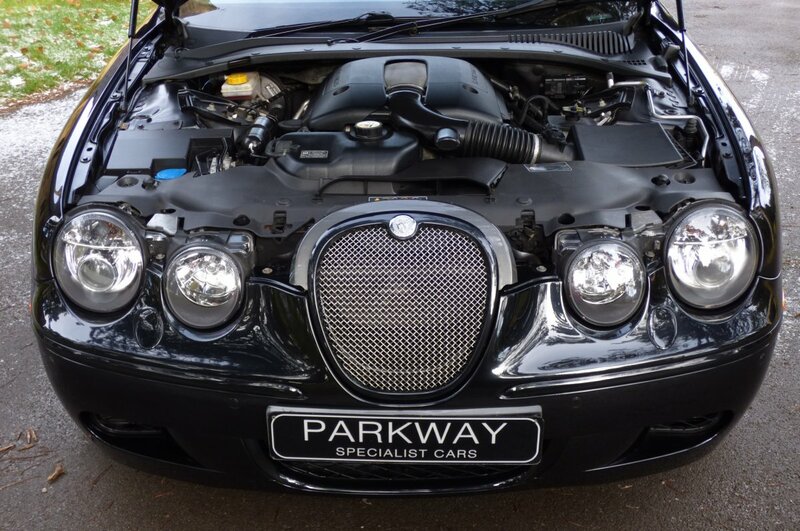 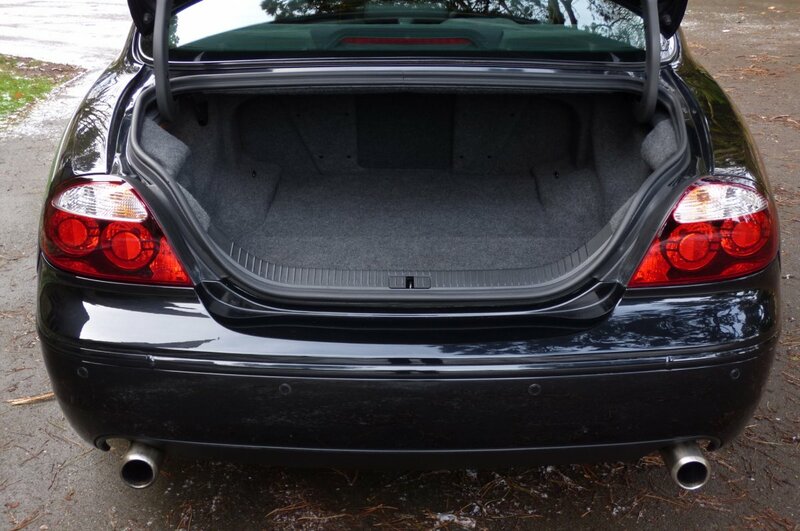 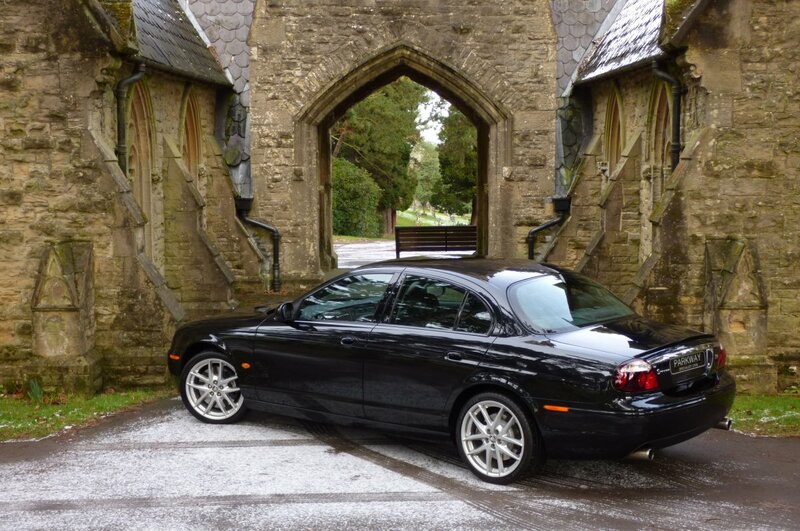 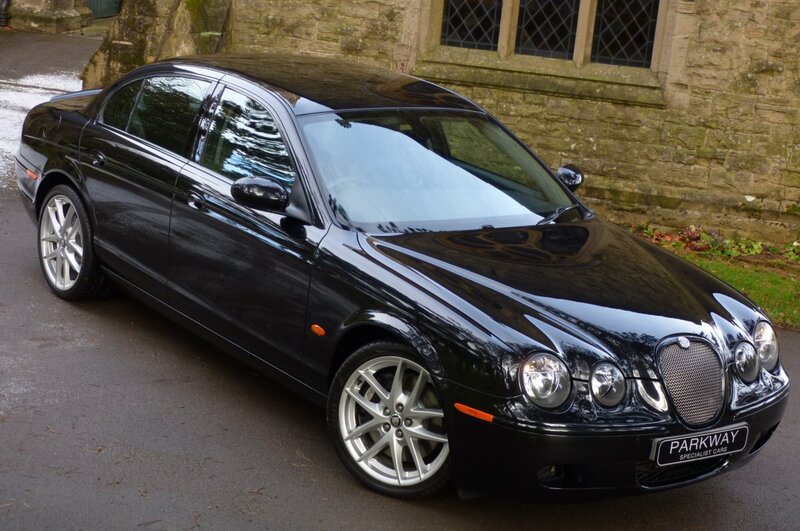 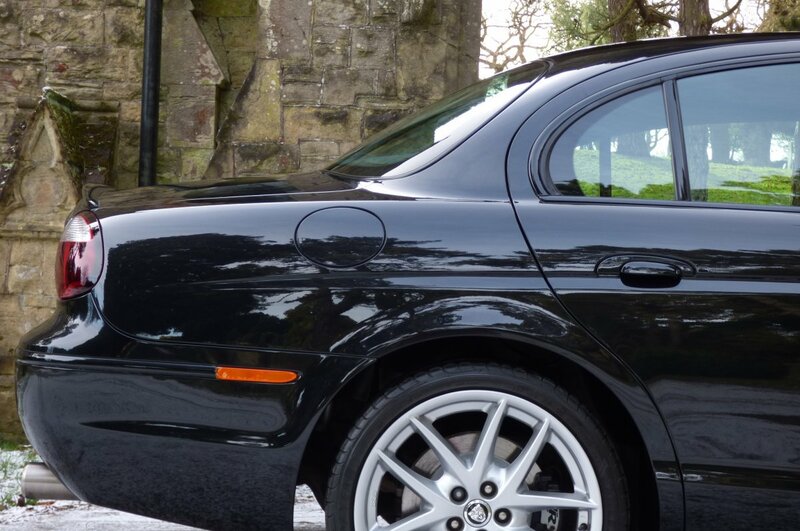 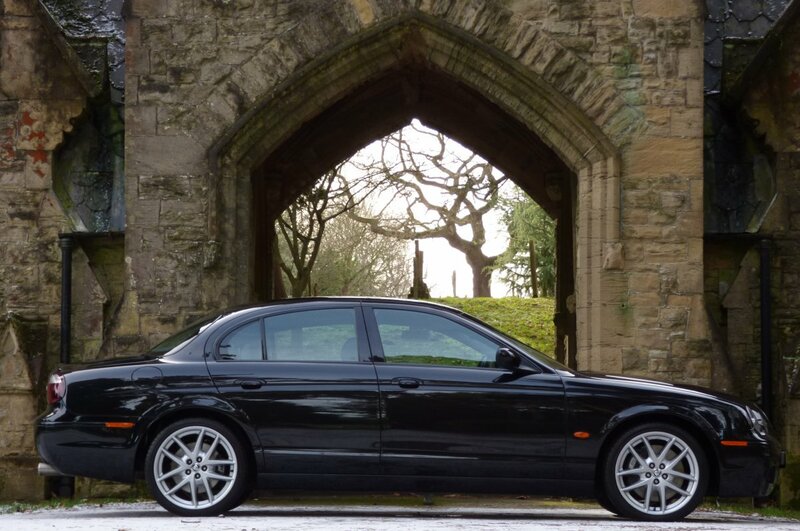 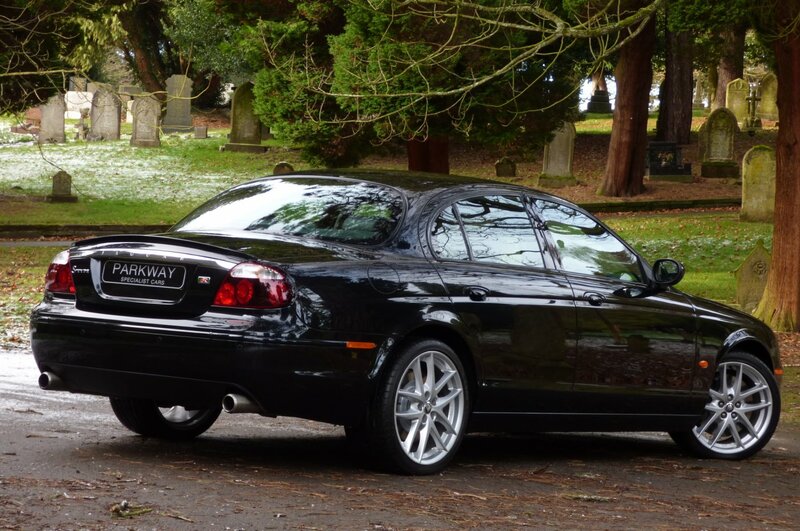 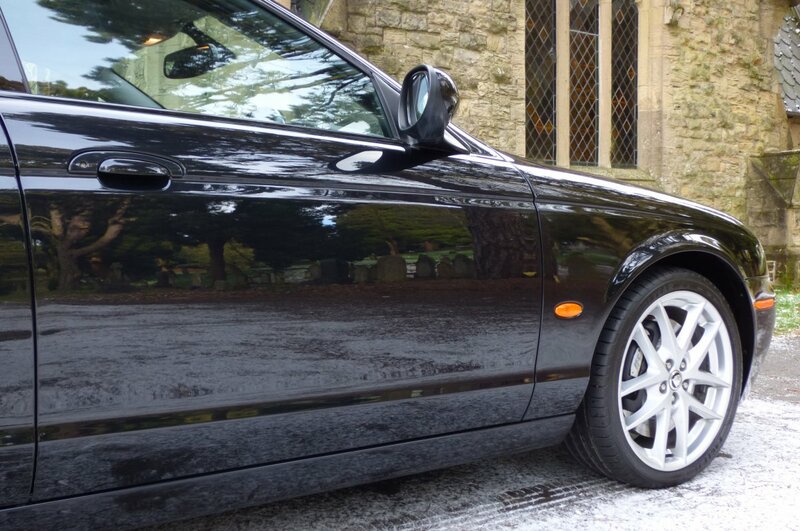 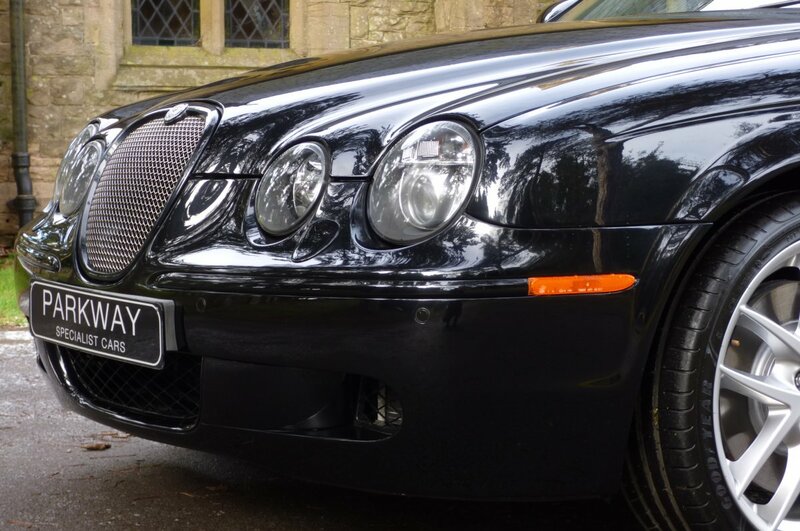 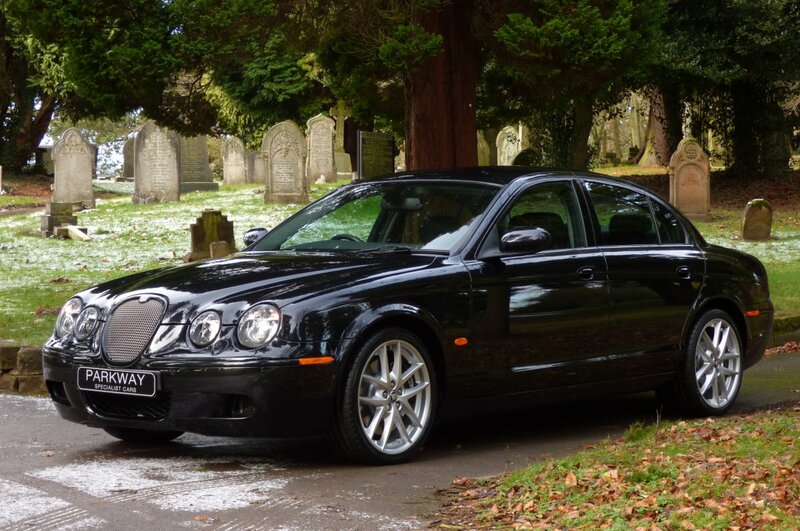 As Part Of The Companies Line Up In 2002, Production Included The Top Of The Range Jaguar S Type R Super Charged Version, With The Birmingham Factory Wanting To Offer A High Powered Luxury Saloon With Their Eyes Firmly Set On The Likes Of The BMW M5 & The Mercedes E55 AMG From The Germans. 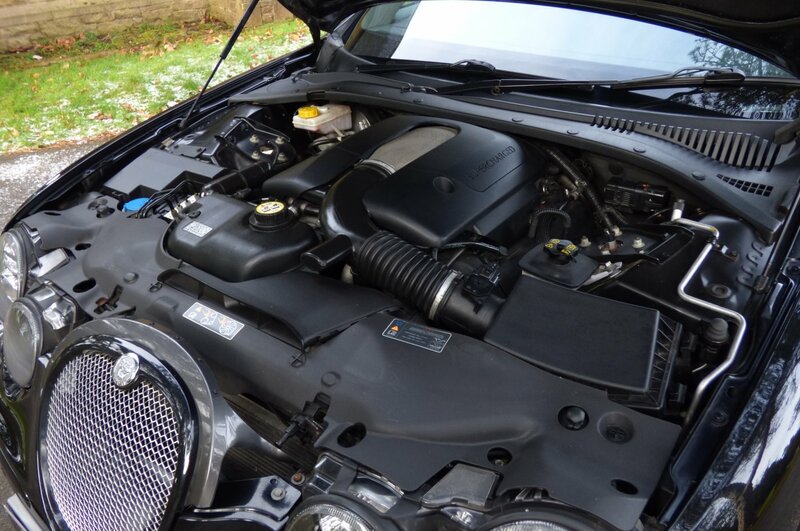 The Mighty R Was Powered By A Newly Revised Hand Built Four Point Two Litre V8 Monster With An Eaton M112 Supercharger Which Produced A More Than Attractive 400 Break Horse Power, Which Was Capable Of Accelerating Both Driver And Four Passengers From 0-62 MPH In An Astonishing 5.3 Seconds, Would Complete A Quarter Mile Charge In 13.8 Seconds @ 103.1 MHP And Would Further Climb To An Electrically Limited Top Speed Of 155 MPH. 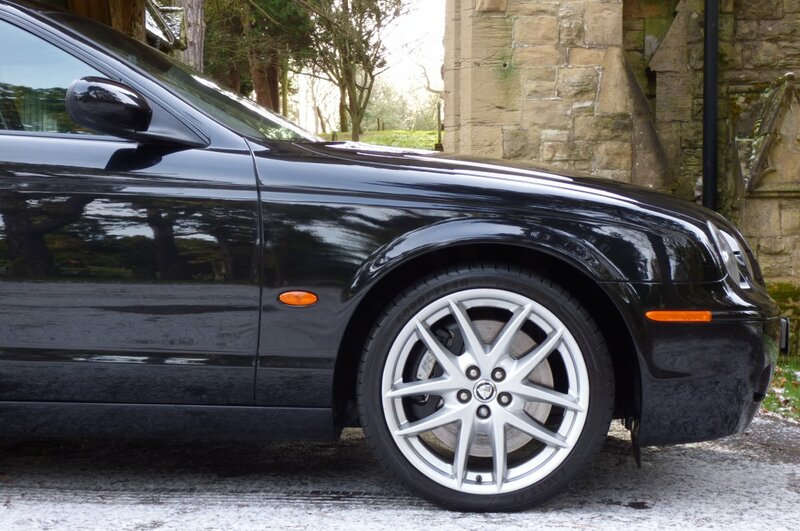 Of Course The Performance Figures Achieved Had Been More Than Respectable To Compete With Its Main Rivals, But Still The Company Never Lost Sight With The Signature Luxurious Refinements, Which Had Made This Much Loved Then British Product So Very Desirable To Enthusiastic Buyers From Around The World And Even After The Company Merge In 2013, This High End Manufacture Is Still Viewed As Being Quintessentially British. 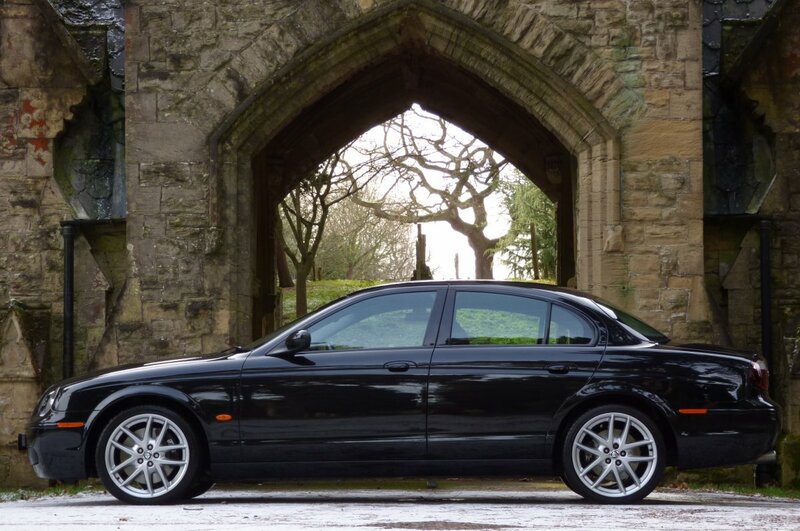 During The Six Years Of The Build On Jaguar S Type R Model, There Are Reports That Just 8043 Had Come Off The Production Line As A Total, With Only Just 1174 Vehicles Stopping In The UK, So If We Fast Forward To 2018, This Has Now Meant That This Top Of The Range Jaguar Is Viewed As Being Remarkably Rare To Find, Especially If You Can Find A Factory Standard Example With A Full Jaguar Past Service Inventory, So With This We Are Delighted To Offer Chassis Number N88817 Onto Our Collectable Vehicle Stock Profile. 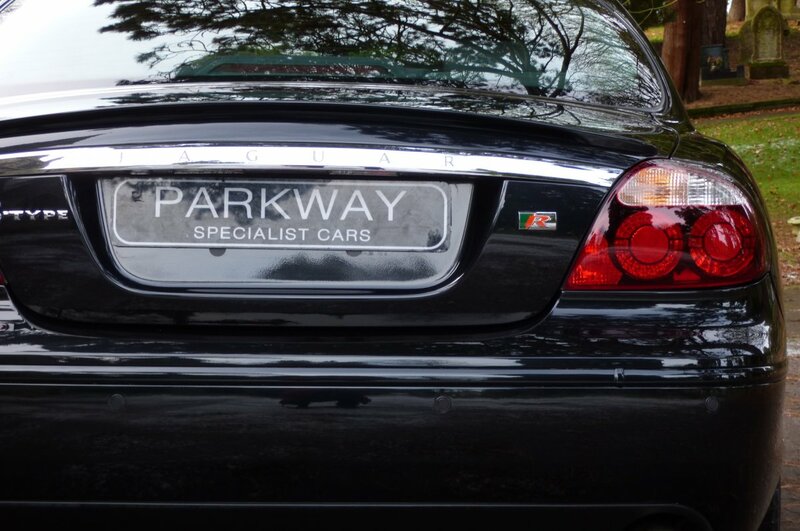 This Fine Example Was First Registered For The Jaguar Factory In The July Of 2007, With A Further Three Private Keepers Acquiring The Car After This Point And Considering That This Special Vehicle Will Be Celebrating An Eleventh Birthday This Year, Is It Still Considered As Being Very Low On Keeper Changes. 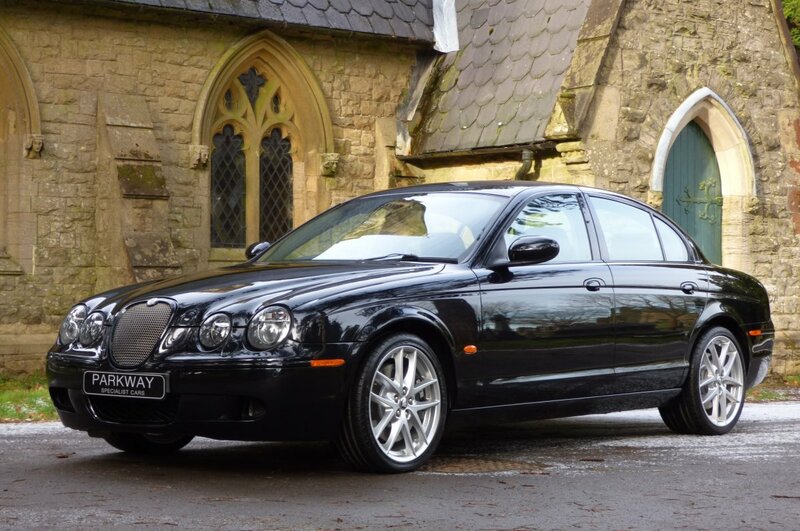 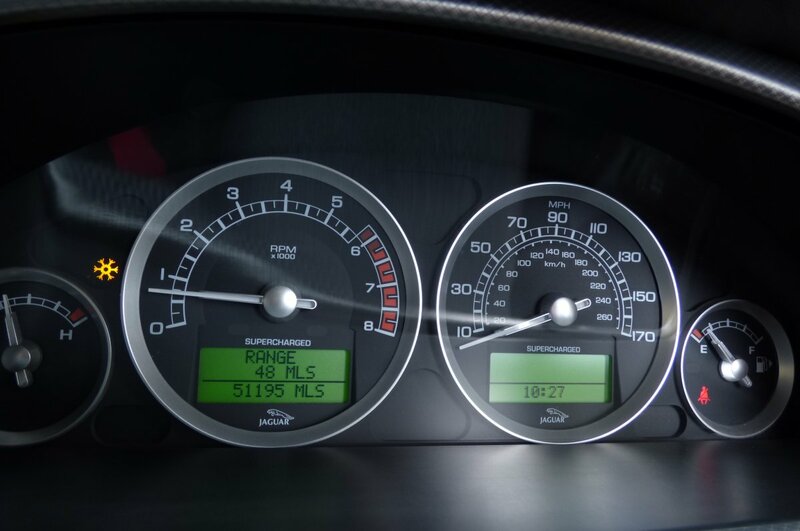 Since The Date Of First Registration Date Just 51195 Miles Have Been Applied, Which Roughly Works Out At Around 4700 Miles Per Annum, However Regardless Of This Incredible Reading This Example Has Been Maintained To The Highest Of Standards With Past Historical Jaguar Main Dealer Service Visits Logged At 2790, 9613, 17051, 23792, 29017, 27890, 44313, 47385, 49552 & 50543 Miles, With The Very Last Completed By Lancaster Jaguar In The July Of 2017.  Once Sold Our Vehicle Will Be Presented To The Next Lucky Custodian With The Entire Booklet Pack Set, A Full Factory Build Card Listing All Those Important Opted Options, A Fully Cleared Hpi Certificate And A Fully Functional Key Set, For That Next Person To Enjoy And Cherish During Their Time Of Ownership. 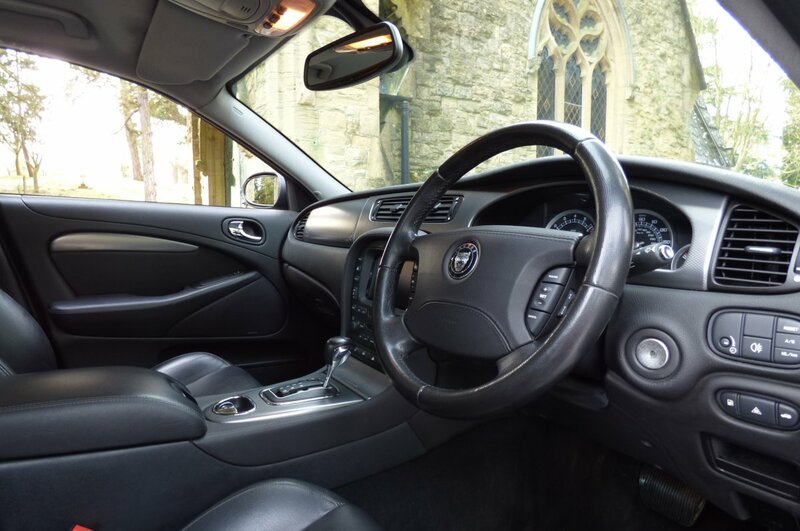 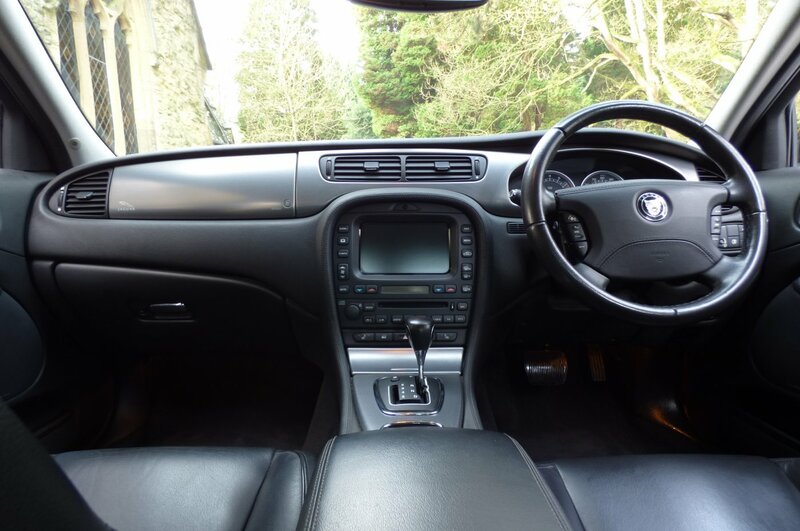 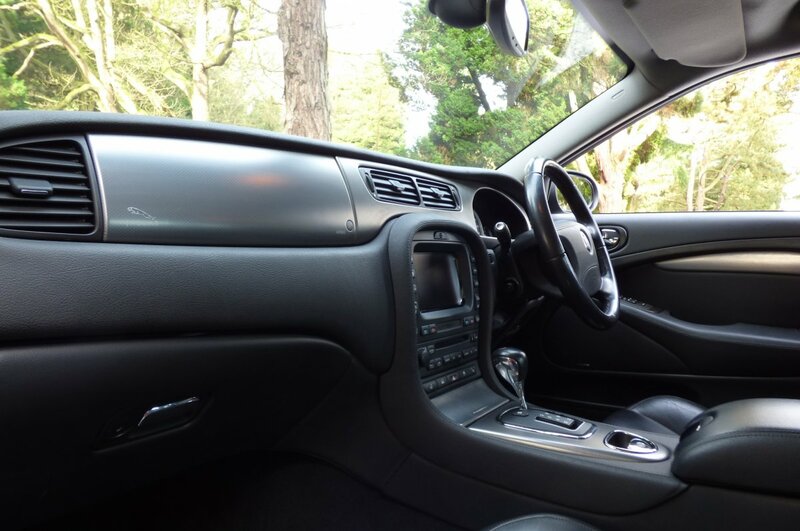 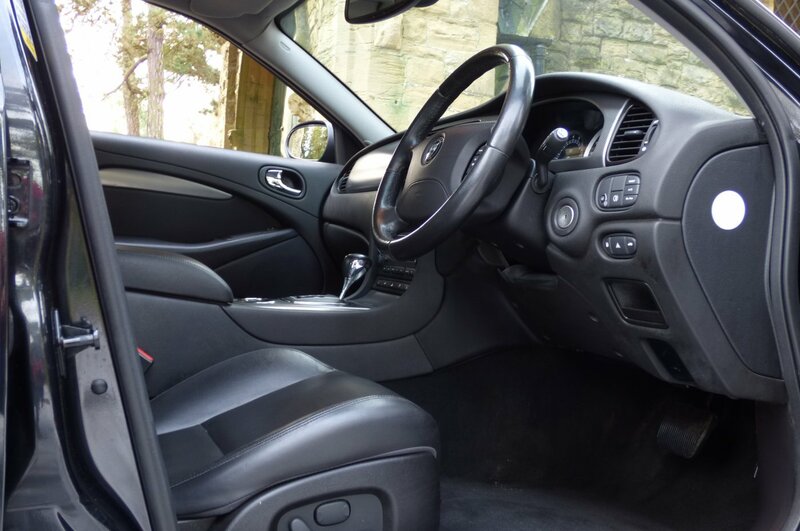 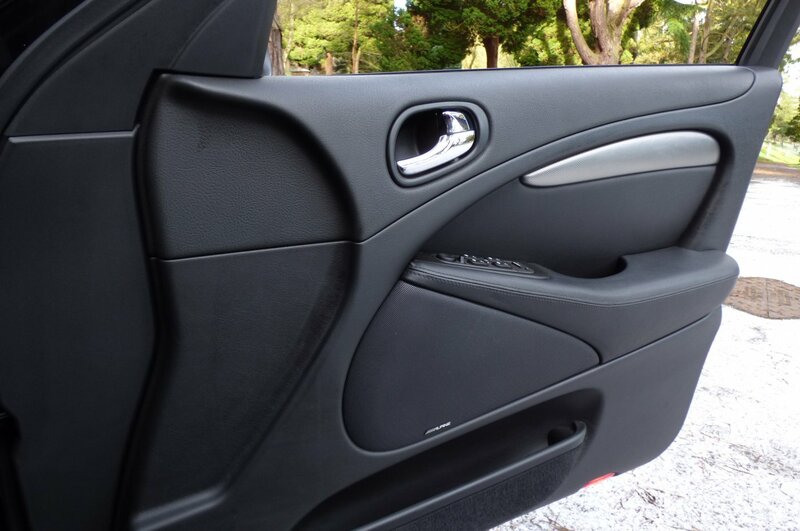 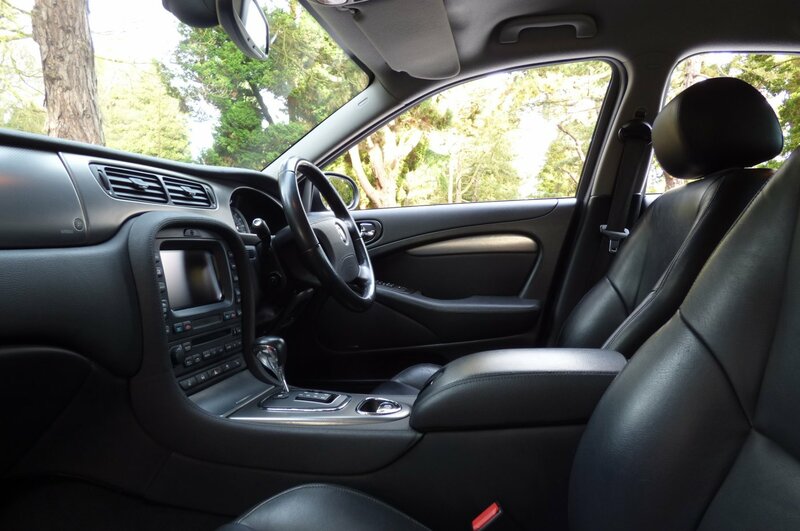 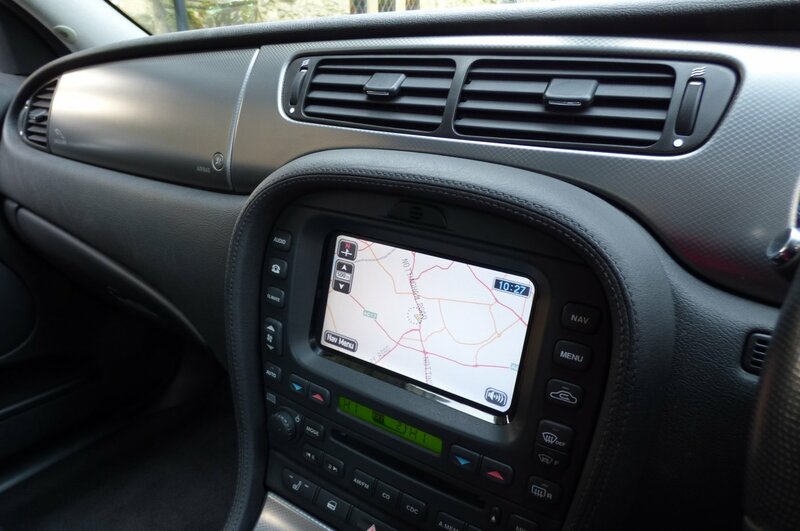 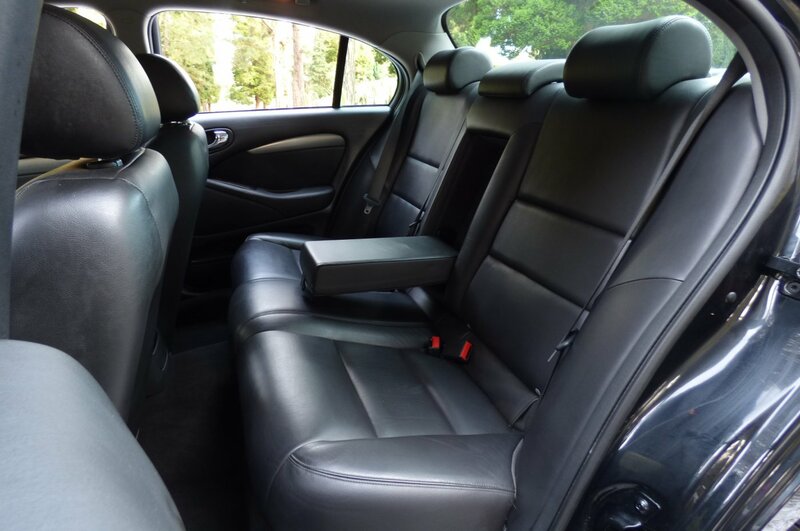 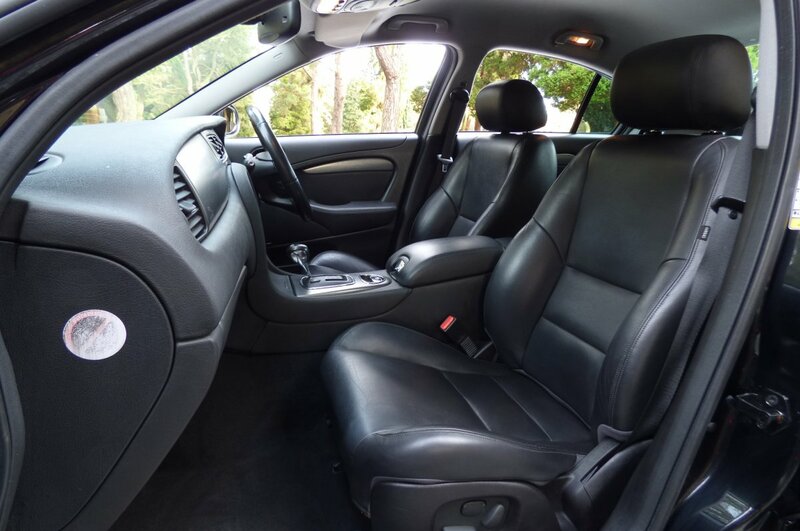 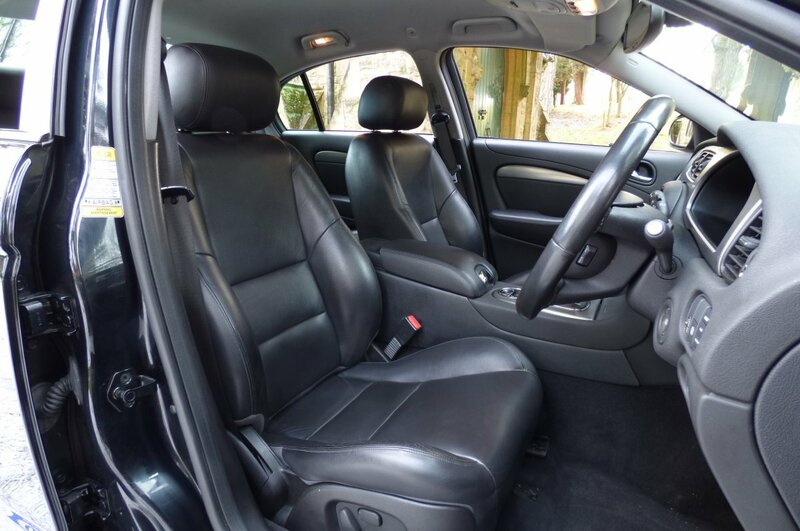 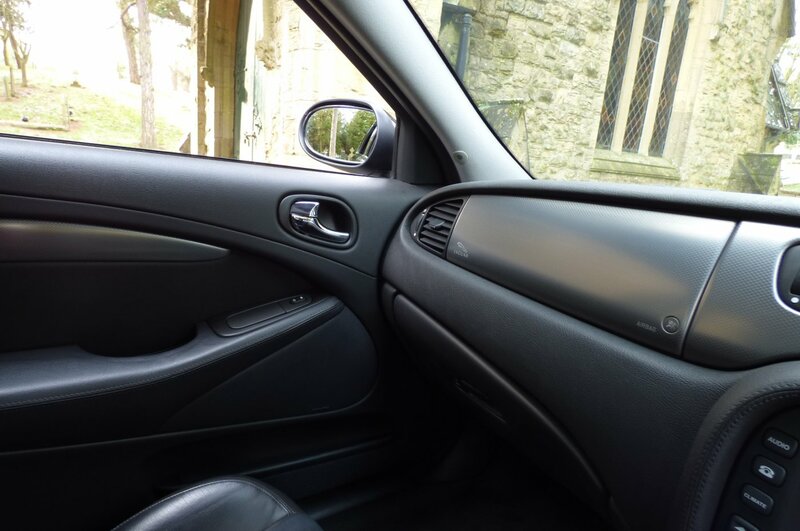 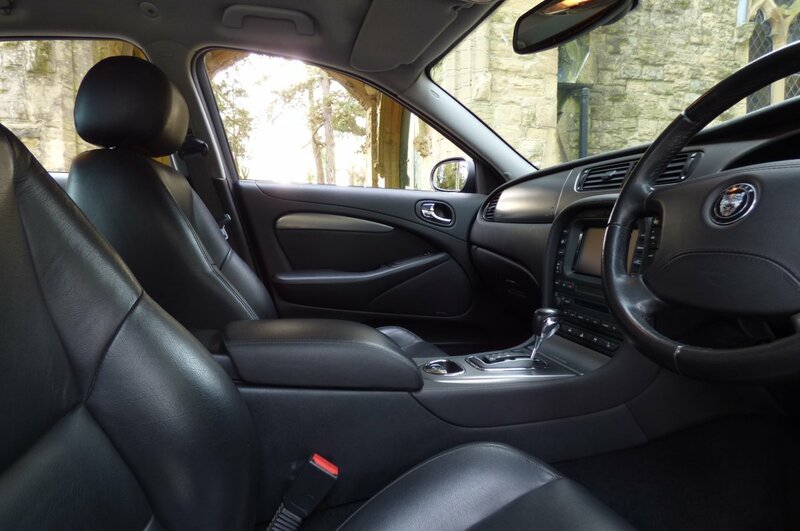 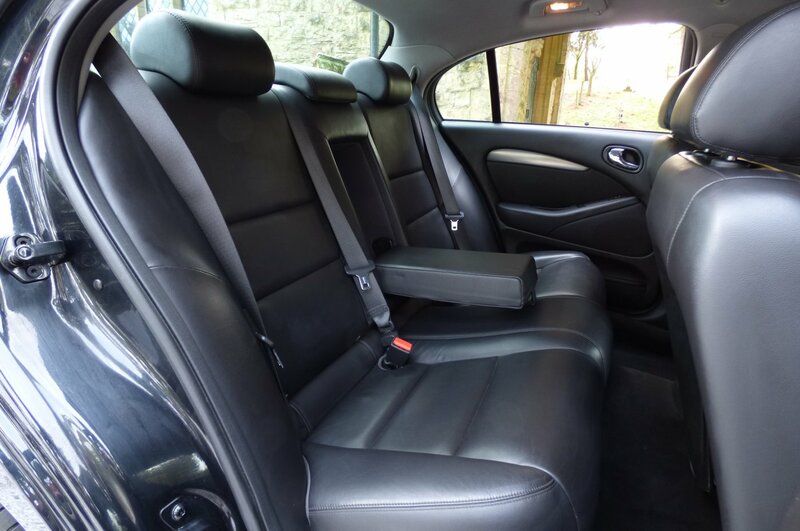 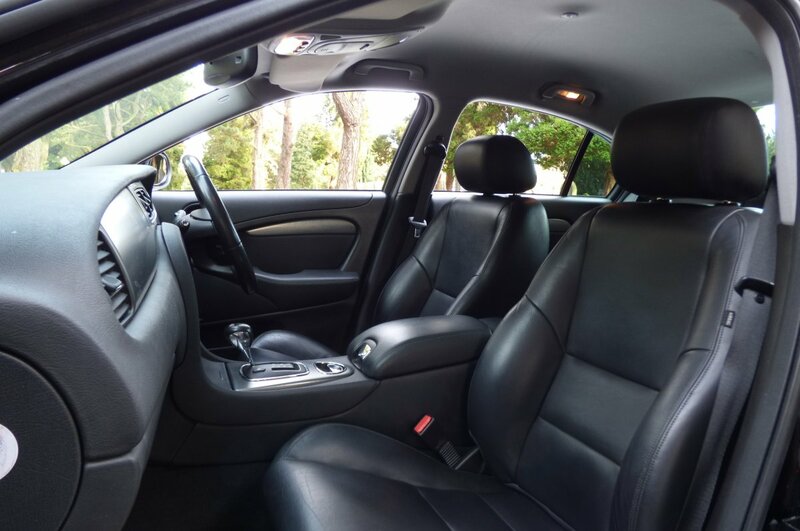 The Interior Is A Real Delight To The Senses, With Only The Finest Of Leather Hides And Plush Trim Parts Used For Maximum Effect, Thus Creating An Environment Of High End Luxury, Combined With Exciting Detail. 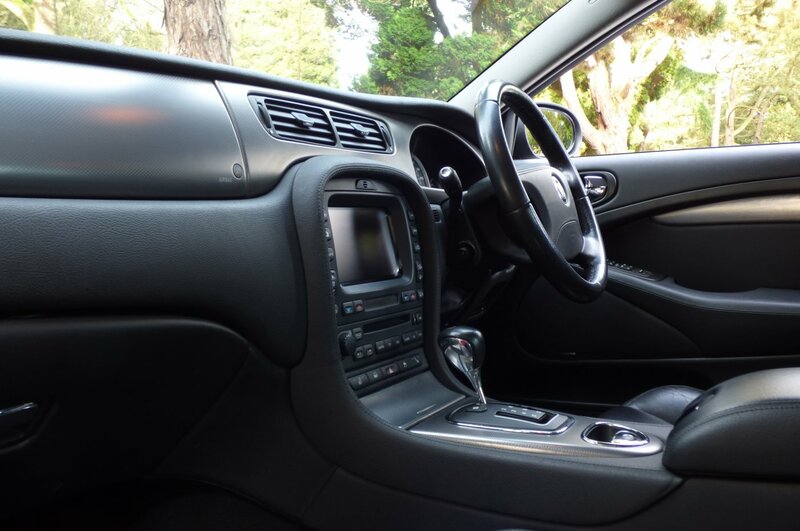 From Factory Build Our Offering Is Presented With The Warm Charcoal Black Leather Seating Beautifully Complemented With Black Twin Needle Contrast Stitch, Black Carpets, Warm Charcoal Seat Belts, The Dark Grey Fabric Roof Lining, Warm Charcoal Black Leather Trimmed Door Cards, The Black Dash That Wraps Around This Inviting Space, The Jaguar Embossed Black Leather Bound Multi Functional Four Spoke Steering Wheel And Decorated With The Jaguar Embossed Dark Aluminium Weave Inlays, That Finalise This Elegant Interior. 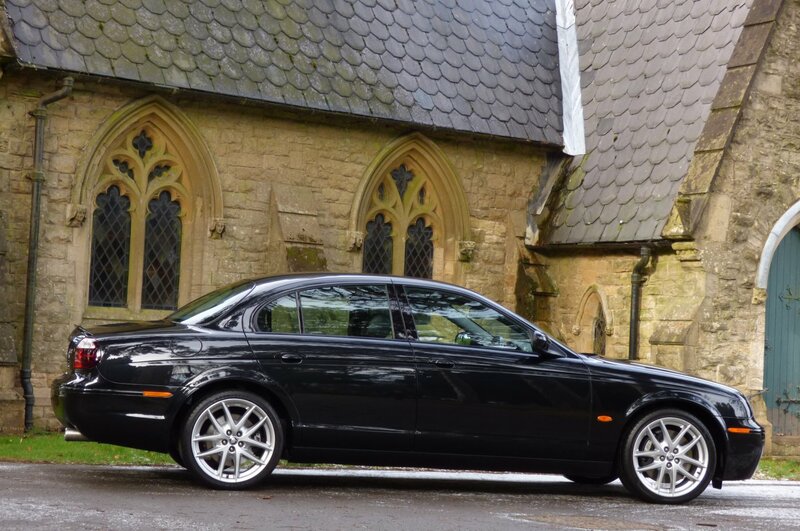 This Collectable Cat Also Boasts An Excellent Array Of Jaguar Technical Options, Meaning That Every Journey, No Matter The Distance Offers Perfect First Class Comfort And An Exciting Driving Experience. 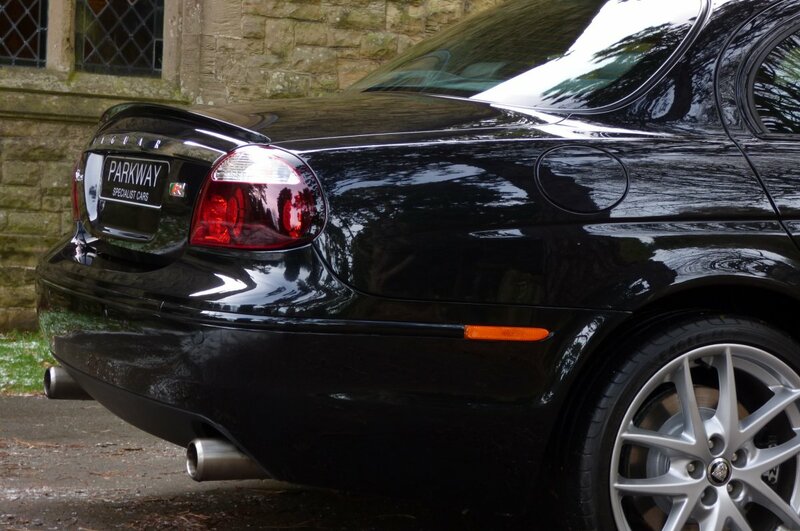 The Sculptured Body Is Presented In The Midnight Black Metallic, With This Colour Finish Perfectly Demonstrating The Subtle R Curves And Distinctive Jaguar Exterior Lines. 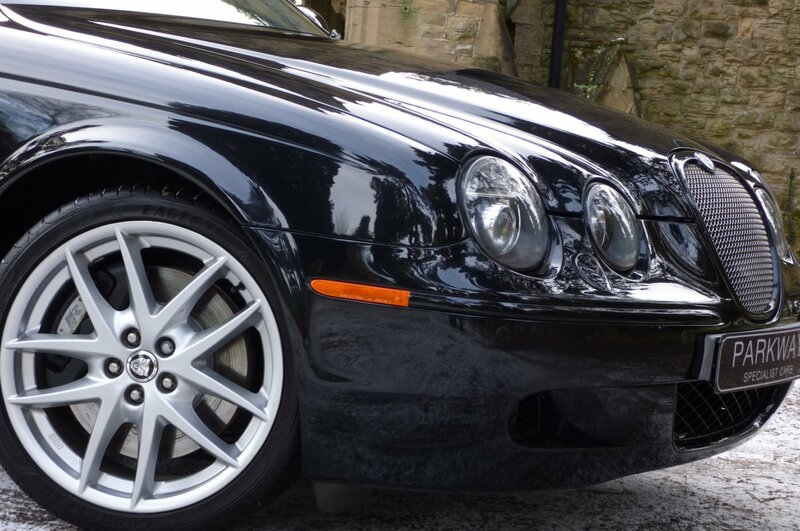 Further Features Include The Unmarked 18" BBS Embossed R Five Double Spoke Barcelona Alloy Wheels Which All Sit On Branded Tyres, The R Embossed Performance Brake Calipers, The Twinned Chromed Oval Exhaust Pipes, The Chromed Mesh Front Grille, The Gloss Black Exterior Trim Surrounds, The Blackened Factory Rear Light Covers, The Colour Coded Rear Boot Lip Spoiler And Decorated With The Singular Chromed R Boot Lid Badge. 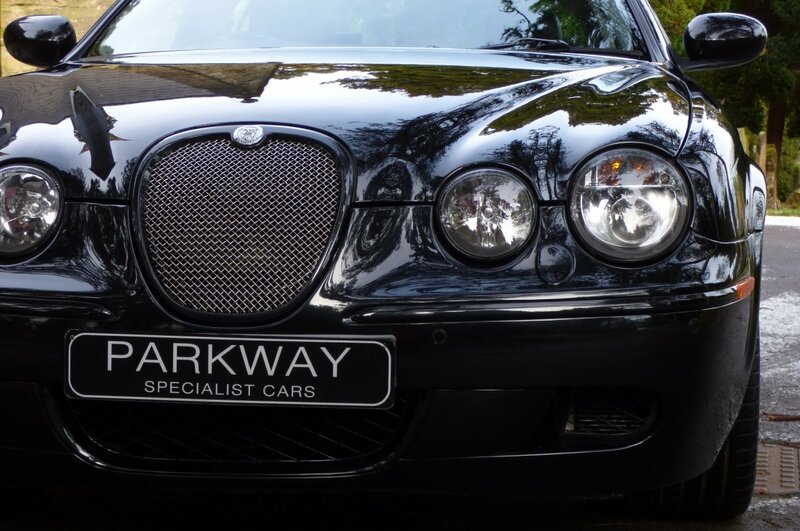 The Vehicle Design Has Certainly Aged Well Over The Years And Is Now Viewed By Many As An Important And Integral Part To The Company`s Long Standing History, With Inevitable Value Increases To Happen As Time Moves On. 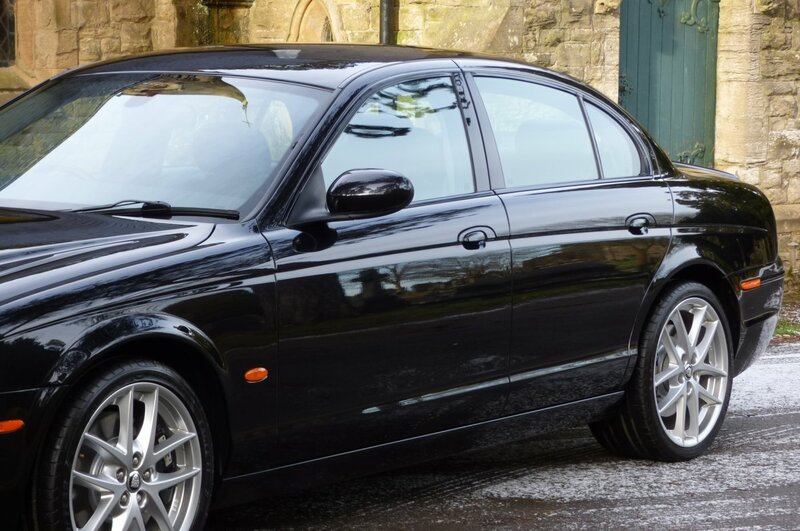 We Are Delighted To Offer This Now Rare Example Onto Our Vehicle Inventory, With Jaguar Factory Options To Include The Full Colour Touch Screen Information System With Satellite Navigation, Unmarked Silver Finished 18" Five Double Arm Barcelona Multi Spoke Alloy Wheels, Front And Rear Park Distance Control, Electric Front Seating With Driver Memory, Adaptive Cruise Control, Xenon Headlights With Power Wash Function, Variable Heated Front Seats, CATS R Suspension, Jaguar Interactive Vehicle Dynamics, 18" Full Sized Spare Wheel, Jaguar Six Disc Multi Change CD System, Bluetooth Phone Preparation, Wire Mesh Front Grille, Heated Washer System, Jaguar Embossed Interior Sill Kick Plates, Jaguar/Alpine Sound Package, Twinned Chromed Oval Exhaust Pipes, Remote Central Locking With Alarm, Heated Front Screen, Jaguar Trip Computer, Rain & Light Packages And So Much More. 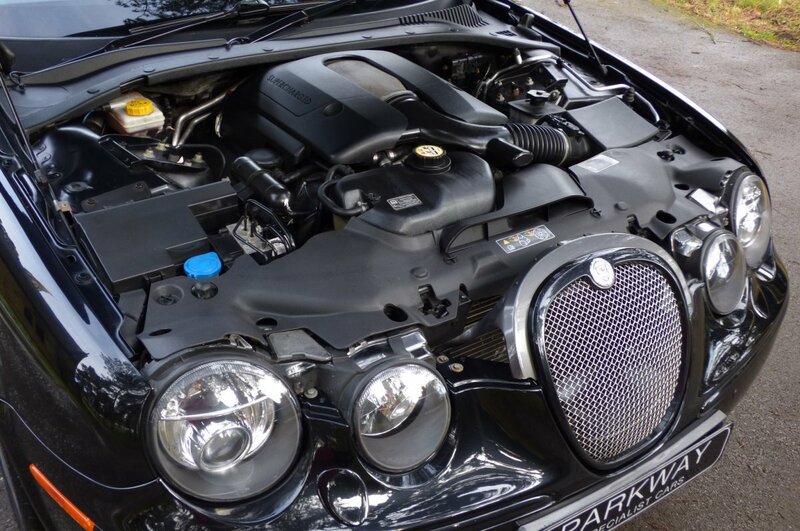 Presented With The Full Booklet Pack Set, A Full Factory Build Card, A Fully Cleared Hpi Report And A Fully Functional Key Set.